VISIT TO THE HAWTHORN FOOTBALL CLUB MUSEUM – in case you’re missing the footy! 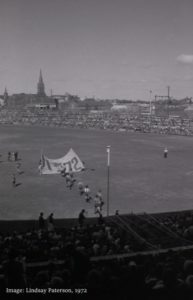 Since they were the MAYBLOOMS, Hawthorn Football Club has been at the centre of much of the life of Hawthorn for over a century. 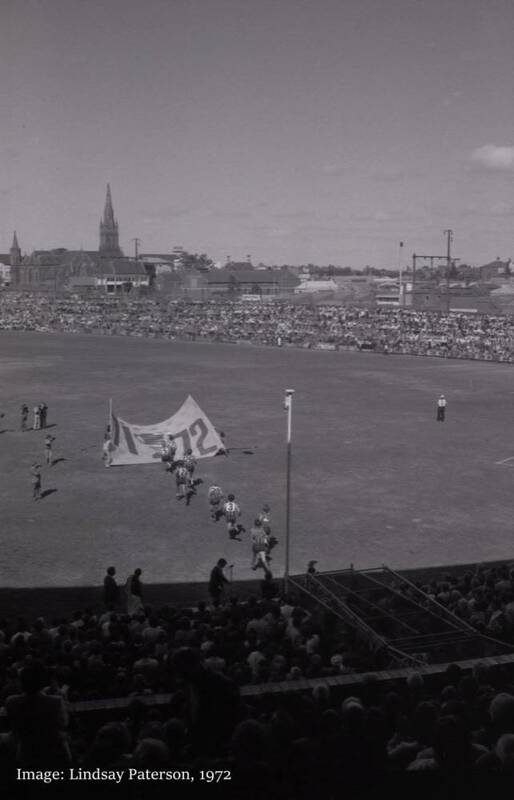 Many recall visiting Glenferrie Oval to support their team; the muddy ground, nipping across the railway line to gain entry, exhilarating wins and depressing losses. No longer based at Glenferrie, the Hawks Museum is now at Waverley Park. The Hawks Museum tells the story of the club from early days to the present time. There will be much of interest here for you even should you support another team. Thanks to Lindsay Patterson for the fabulous photo looking across Glenferrie Oval from the Michael Tuck Stand towards Immaculate Conception Church. Afternoon tea will be available after the tour at The Last Piece Cafe..
We will organise CAR POOLING from Hawthorn – please let us know if you need a lift or can offer a lift to others.